Stop social anxiety in its tracks and get over social phobias. It's time to stop letting fear and anxiety control your life. You can create peace and calm in any social situation today! Let Rachael Meddows show you how with this soothing hypnosis and guided meditation program. gives you tools to manage stress and anxiety in a healthy way and to create peace and serenity when you need it. Your mind will receive deep hypnotic suggestions for positive change, deeply relaxing your mind and removing stress and tension, helping you remain calm in stressful social situations and giving you peace of mind. Put yourself in control and feel confident around others today. 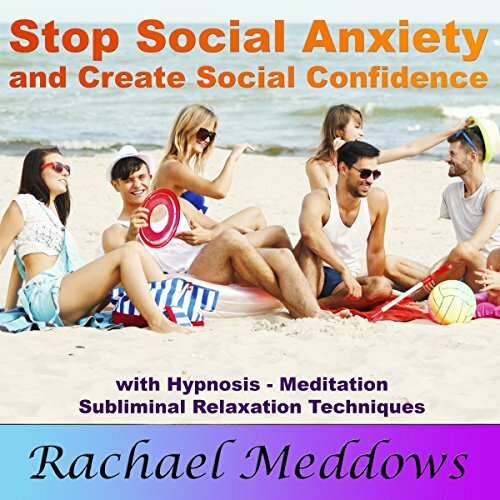 This audiobook includes an instruction track, three different inductions from world-renowned hypnotherapist Rachael Meddows, and affirmation and music tracks to boost your confidence and help you create inner peace. View More In Anxieties & Phobias. If you have any questions about this product by Subliminal Affirmations, LLC, contact us by completing and submitting the form below. If you are looking for a specif part number, please include it with your message.